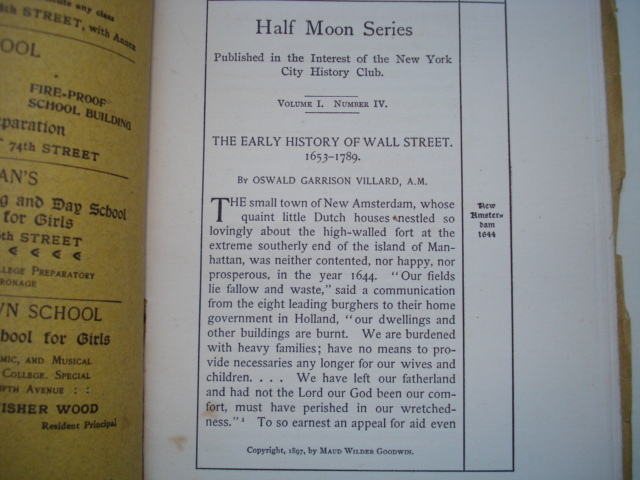 THE EARLY HISTORY OF WALL STREET 1653-1789 - IFA Vintage and Current Book Library - Index Fund Advisors, Inc.
A vintage book titled HALF MOON SERIES.PAPERS ON HISTORIC. NEW YORK. 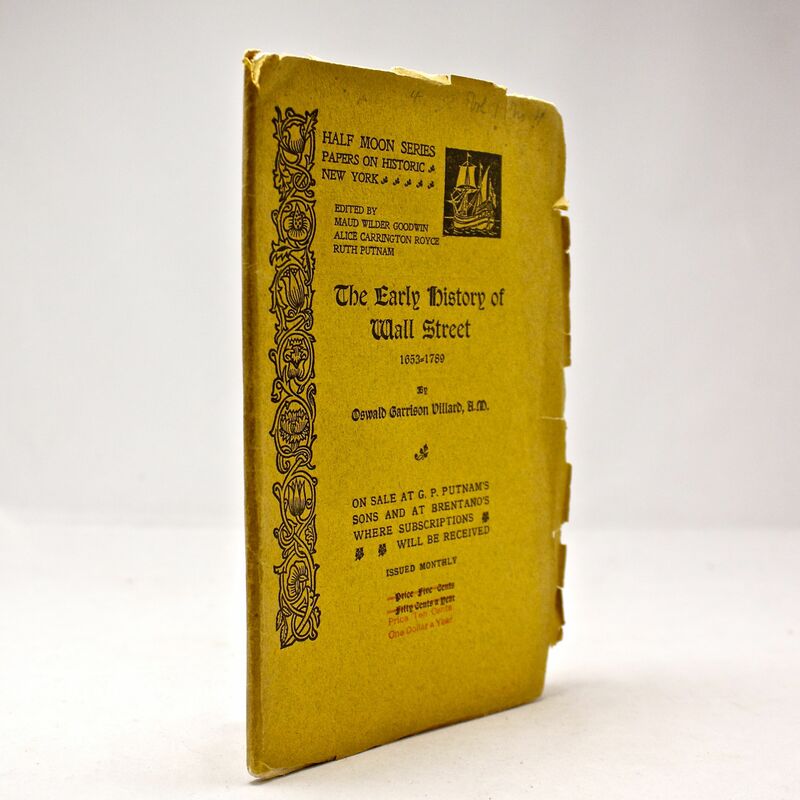 EDITED BY MAUD WILDER GOODWIN, ALICE CARRINGTON ROYCE, RUTH PUTNAM....THE EARLY HISTORY OF WALL STREET 1653-1789 BY OSWALD GARRISON VILLARD. PUBLISHED IN THE INTEREST OF THE NEW YORK CITY HISTORIC CLUB. VOLUME I. NUMBER IV......COPYRIGHT, 1897, BY MAUD WILDER GOODWIN. The book is in good condition. Wear and bumped on edges and corners of the book. Aging on paper. The binding is tight. The book measures approximately 5 1/2" by 8". Interesting book......At the frontpage....on sale at G.P. Putnam's Sons and the Brentano's where subscription will be received. Issued monthly...........Owner's label in the book.